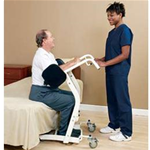 Patient lifts are beneficial for those that have lost their ability to get around and require home care. 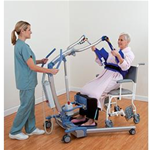 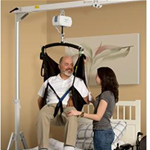 Whether it’s a hydraulic patient lift, electric patient lift or ceiling lift, there is a decrease in stress on the bodies of both caregiver and patient. 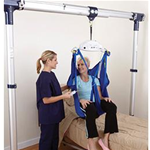 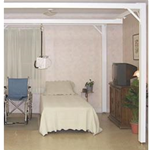 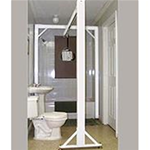 Not only does Healthwise at Home provide a variety of patient lifts, but we also help with any required installation. 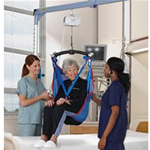 For more information about any of our patient lifts, select our “Order Request” or contact Healthwise at Home today!